This volume was published by order of the Commissioners of Longitude, also known as the Board of Longitude. This organization was founded in 1714 to encourage research into measuring longitude at sea and to award the Longitude Prize to anyone who achieved this goal. John Harrison, a contender for this prize, ultimately received thousands of pounds sterling (£) for his invention of the marine chronometer. In this volume, John and his son William, who tested the time-keeper on a voyage to Jamaica, explain to the Royal Astronomer Nevil Maskelyne how the time-keeper was built and accurately tested. 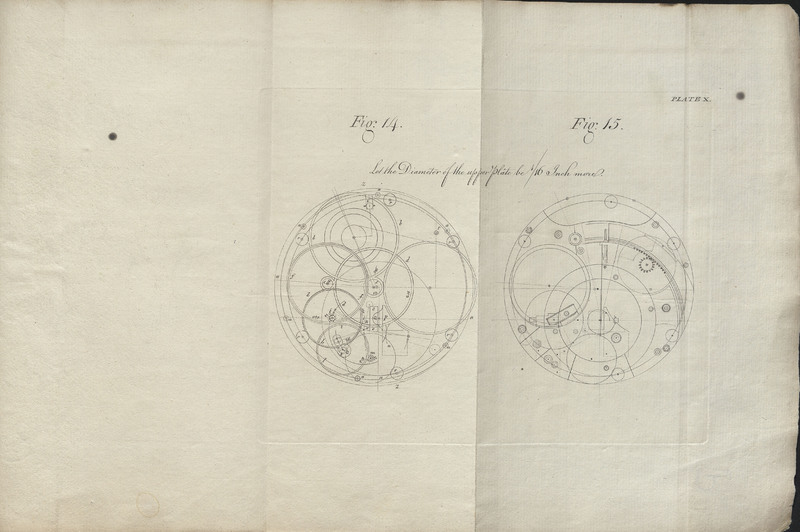 The illustrations of the time-keeper are extremely detailed and corroborated as accurate by Maskelyne’s notes, thereby qualifying the Harrisons for the Longitude Prize. John Harrison (1693-1776) and Nevil Maskelyne (1732-1811). 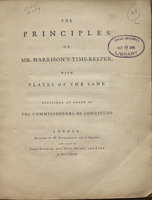 The Principles of Mr. Harrison's Time-Keeper; with Plates of the Same. London: W. Richardson and S. Clark and sold by J. Nourse, 1767.